Now that the big three game companies have revealed their visions for the future, it’s time to make future plans of your own. You weren’t planning on buying EVERY new console in one sweeping credit card swipe, right? It’s easy to get excited about new hardware. Hell, even an Ouya pre-order was tantalizing a few months back before the real consoles showed up. So here are few personal guidelines that have served me well for the last 20 plus years of console launches. 1) Don’t buy your console at launch. I know it hurts. You see the waves of bodies crashing into retailers on the morning news, trampling over the elderly and young alike, and you think to yourself, “ME TOO!” The zeitgeist of new hardware can be invigorating, especially after such a long console generation (almost eight years, what are we… cavemen?). But take heed, and cancel those pre-orders before you make a fool of yourself. Launch hardware is the worst kind of hardware. It’s at its most expensive as well as its most fragile and unpredictable. You’re basically buying enriched uranium on day one. 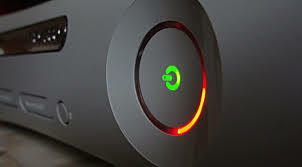 The Xbox 360 suffered through defective units that would shut down or “red-ring” at the slightest jostle. It wasn’t until 2008 that better parts were implemented into the box. 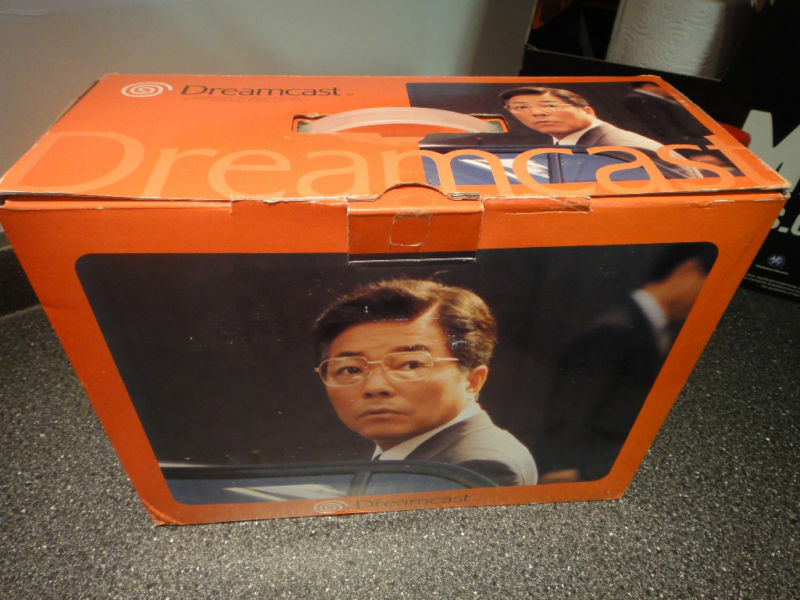 Early adopters were treated to a generous extended warranty, but that resulted in receiving refurbished consoles with defective parts still inside; some received as many as three replacements. Some would argue that the first wave of PS3s were the best iteration of the system, including additional USB ports, true backwards compatibility, and Linux support, but at a whopping six hundred US dollars, these features felt trivial at best. 2) Take inventory of your REAL cost. You won’t be able to walk into your local store with $400.00 or $500.00 and expect to get the full “Next Gen” experience (Wii-U doesn’t count). A game will cost you $60.00. If you plan on entertaining, and you WILL want to show off your new console, an extra controller is a must (another $60.00). If you plan on playing online, both the PS4 and the Xbox One will require a fee for online multiplayer. Both online fees will come with free access to certain games, but what you get may not appeal to your taste. Both consoles will also include headsets for online gaming. You can use the new Kinect as a microphone to harangue other players, but your family or significant other will appreciate limiting the banal, racist, homophobic diatribes to your ears alone. Damn, I hope you like Halo if you’re willing to pony up 750 bones! Even the Wii-U can be a daunting purchase at $500.00 considering you may have to buy additional hard drive space. Thankfully, we don’t live in a world with memory cards or else we’d have to throw down another 20 to 30 bucks. Now that we have a better understanding of pricing, you’ll have to make some tough choices. If you were dumb like me and purchased most of your games digitally, guess what? If you’ve been squirreling away physical copies of your games, you have a potential down payment on a new console hidden deep inside your entertainment center. Pawnshops and second hand stores are good alternatives to trading at GameStop, offering cash back on older software from previous generations. GameStop won’t take back the old stuff, but they tend to offer percentage bonuses for trading in towards a new console or signing up for their member rewards program. You’re just going to use that credit to get more games so why not? WARNING: make sure that you can live without whatever you plan on selling back! Weigh the payoff. I’ll never forgive myself for trading away my Super Nintendo and all my carts for an Xbox, or my original Dreamcast for food. 4) Don’t choose a side, choose your first step. There’s been a lot of unnecessary zeal attached to which company to support. Take a deep breath and remember that companies are companies. They don’t care if you bought Playstation All-Stars or drink Mountain Dew with a Spartan on it. The only thing that matters to them is getting your money. Your job is to keep in perspective what kind of gaming experience you want versus the amount you are willing to spend. Unless you’re Oliver “Daddy” Warbucks, you’re not walking out of Best Buy with EVERY new console. After milling through your collection, try to recall what games brought you the most joy. Were they Halo and Forza, Uncharted and Killzone? Do you have an affinity towards indie games? Third-Party games used to play better for the most part on the Xbox 360. Now that the Sony Cell Processor is no more, developers can port games just as easily onto the PS4 as the Xbox One. 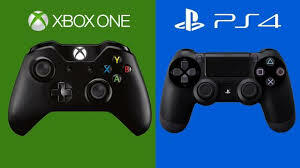 The competition has never been more heated between Sony and Microsoft so expect to get some unprecedented lovin’ from both companies as we get closer to November. Ergonomics come into play here as well. The controllers have been altered to provide better handling overall. Sony worked some magic on designing the new Dual Shock 4 while Microsoft improved on the console shooter standard by including rumble in the triggers. Keep in mind that consoles go down in price later in their lifespan. Whatever console you get first won’t necessarily be your last. It’s easy to forget about the Wii-U with all this next gen talk, but remember that there will be a new Zelda, Mario Kart, and Smash Bros. before long and its modest price makes it an ideal secondary system. For those same reasons, the Nintendo 3DS shouldn’t be ignored either. 5) The five game rule. Everyone should make a list of at least five games they NEED a new console in order to play. I remember getting a phone call from a friend who was standing in line at the PS3 launch. He had been waiting for twelve hours, and I asked him what game he was most excited about playing. He said Resident Evil 5. There was a long pause before either of us spoke again. I explained to him that Resident Evil 5 was announced for the PS3, but it was not a launch title, nor was a release date given at the time. He ended up buying Resistance, playing it for a week, and then ignoring his PS3 until Metal Gear Solid IV came out. The moral of the story is to do your research. We’ve all been fooled before. Even if you know a game won’t be out for a long time, it’s easy to get swept up into new hardware, thinking that an impressive trailer is proof positive that a game will be stellar. Remember Lair for PS3? That game looked like a slam dunk before people actually had a chance to play the thing. Wait until the game you want comes out, read some reviews, and, if at all possible, try it out at a friend’s house or store kiosk. 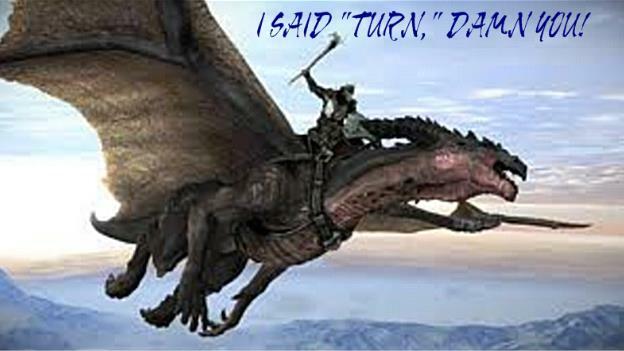 You may be unpleasantly surprised by how mediocre your dragon controls. Also keep in mind that the industry is entering a huge transition into next gen, so many launch titles will be available in some form on the consoles you currently own. Metal Gear Solid V, Titan Fall, Watch Dogs, Assassin’s Creed IV, Battlefield 4, Call of Duty: Ghosts, and Destiny will all be available on PS3 and 360. Be sure to keep this in mind when creating your “must-have list” for new consoles. If it seems like it will take awhile to follow these rules, it will. There is no point on rushing into the next generation with nothing to play. It should take at least a whole year before you have learned enough about weird hardware defects and gathered five must-have games. 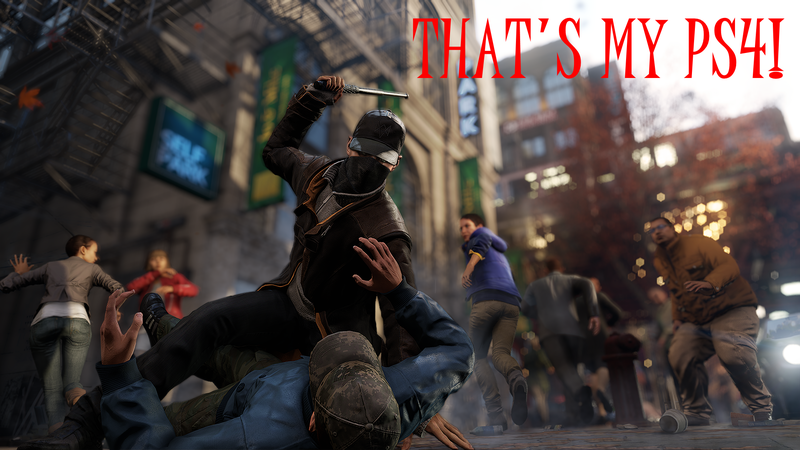 In the mean time, current gen game prices will tank come the holidays. Take this opportunity to buy and play through games you may have missed or eliminate your backlog so you can come in fresh to new console goodness. By following these practical steps, you can avoid launch line hysteria, malfunctioning hardware, and buyer’s remorse.